Scalpings on the frontier were legendary, often thought of in terms of Indians scalping Europeans. While that certainly did happen, they didn’t have exclusive right to scalping. Frontiersmen did it too, as did Scythians and European tribes such as the Alans. In fact, the Massachusetts Bay Colony paid a $60 bounty for each Indian scalp. They weren’t alone either. In 1756 the British Scalp Proclamation was issued, and is, amazingly, still on the books today, although in the Nova Scotia government has states that it is no longer in effect. As gruesome and final as scalping was, some people did survive scalpings. Kentuckian Robinson was scalped in the Ohio Valley Indian Wars and wore a scarf around his head. 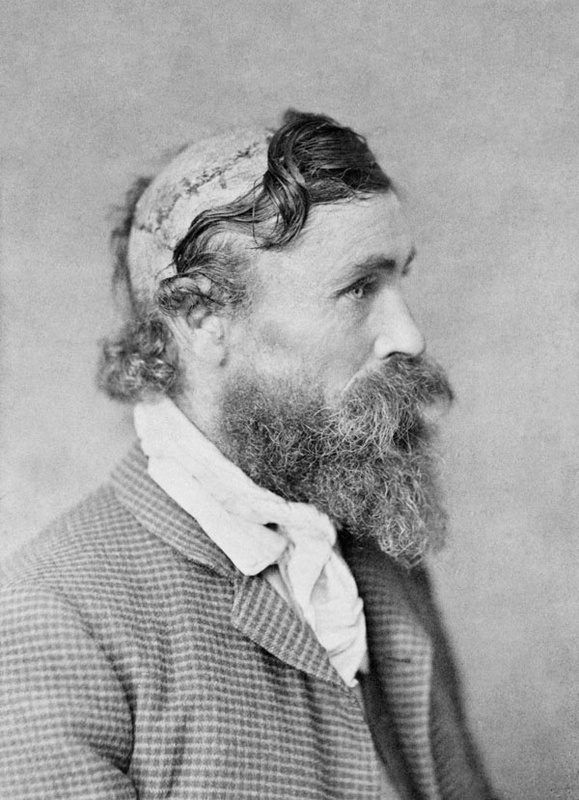 Robert McGee, pictured above, was scalped by the Brule Sioux. Josiah Wilbarger was scalped by Comanche and said that the entire thing was relatively painless, the removing of the scalp sounded like the ominour roar and peal of distant thunder. 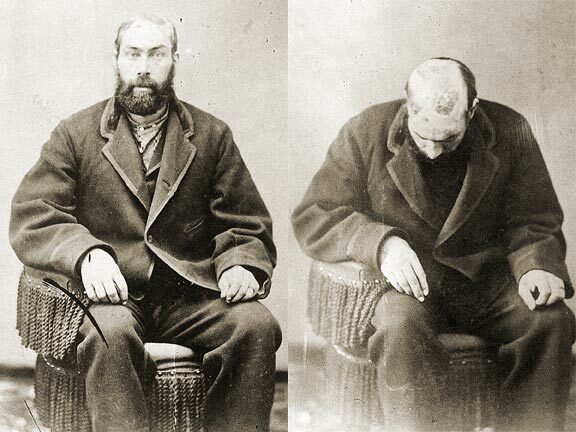 Robert Thompson attempted to have his scalp reattached, and then made a living showing his scalped head, his scalp and telling the story. In the fall of 1755, in Tulpehocken, Pennsylvania, the entire Kobel family was massacred and scalped, probably by the Iroquois, but possibly the Mohawk. Two children who survived, one a female of 11 years of age. Claiborne Osborn, scalped in 1841 by the Comanche in Texas, died in 1899. Louisa always wore a cap to cover the back of her scalped head. This entry was posted in Brule, Comanche, Ho-Chunk, Iroquois, Mohawk, Sioux. Bookmark the permalink. Thank you for column. You often have wonderful articles with hard-to-find information. However, in regards to the scalping survivor article I had some objections. Since as many, if not more, scalping victims were Native people, where are the stories of Native survivors? Were there none? Where are the stories of the northeastern nations hunted down for their scalps like so many deer? While scalping in general seems awful to me, I would like to see a more balanced picture. Featuring only non-Native victims feeds into the “Colonizer as victim, Indigenous peoples as attacking savages” stereotype. Native people, and especially Native youth, do not need to hear any more of that same old, erroneous and one-sided story. I’m kind of late with this reply but it seems to me that the reason you don’t hear many stories of scalping survivors among Native Americans is simply because, having no written language, they recorded very little history compared to European settlers. I don’t think the omission is any kind of racial or cultural slur. I’ve heard of the story of an 11 year old blonde girl who survived being scalped in St. Mary’s , Georgia … It was believed that it was by request of the Spanish who the Creek were allied with against the English Colony… At that time Spain controlled Florida and was at war with England… It was used as a form of terrorism…This was the early 1800’s! The final and most conclusive evidence of scalping in pre-Columbian America comes from archaeology. Since Indian skulls of the requisite age can be found to show distinct and unambiguous marks made by the scalping knife, the Indians must have known of scalping before the arrival of the white man. A wealth of evidence, particularly from prehistoric sites along the Mississippi and Missouri rivers and in the Southeast, indicates just such a conclusion.In the light of such evidence, it is clear that Indians, not white men, introduced scalping to the New World. At the same time, it cannot be denied that the colonists encouraged the spread of scalping to many tribes unfamiliar with the practice by posting scalp bounties. Nor can it be forgotten that Americans of every stripe—from frontiersmen to ministers—were tainted by participating in the bloody market for human hair. Yet in the end, the American stereotype of scalping must stand as historical fact, whether we are comfortable with it or not.